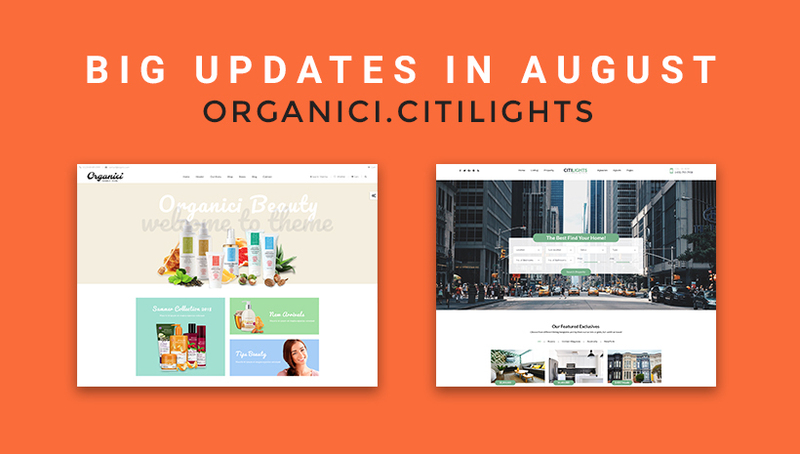 August starts with a double shot – Organici and CitiLights Update with lots of expected features contained. Both these two WordPress themes release new interesting home demos which following the latest trend and definitely fix popular issues. Explore what’s new in Organici! Organici is back with more new interesting looks that will attract lots of customers around Organic store niche. Also, we add more functional functions and fix old issues as well. News version of these eye-catching will give a better user experience during the setup process. Since being launched, the theme is trusted by 900 happy customers thanks to the beautiful design and functional features. 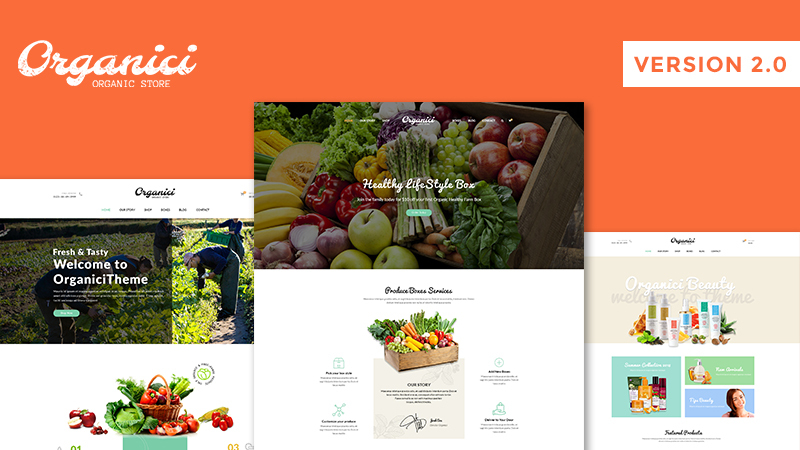 Now the awesome organic store theme meets all needs around Organic store business like running a beauty shop, an organic farm service or organic boxes business. New stunning features shine CitiLights version 3.5. CitiLights is an amazing real estate theme which gains success at the first time of real estate market booming. The theme attracts customers thanks to functional features like convenient front-end management and submission with smart property listing as well as real estate features. We deeply research in the real estate theme development in recent time to develop CitiLights which is up to date and much modern to be more suitable with the requirements of new customers. 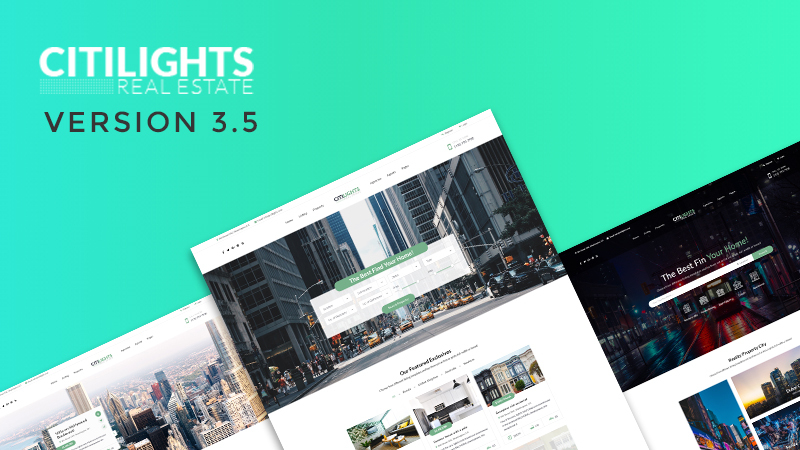 We also list you some stunning features of CitiLights which power the theme for building up a professional real estate site. All in all, these changes of Organici and CitiLights seem to create a new coat for each theme which is much more modern and powerful. And the thing you should do immediately is enjoying the journey on our updates and give us the chance to serve you better. Hopefully, these WordPress themes will take opportunities to deserve users in building their online successful business. Thanks for updating!